Let’s think about it. 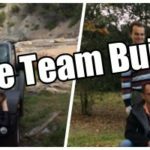 What is the point of team building? To improve cohesion amongst employees? To ‘break the ice’ between employees who previously didn’t interact? To have a day off from the office and have fun? Whatever it may be revolves around the interaction of the players to let their hair down and have a great time. In doing so the interaction of the players enables all of the above reasons for teambuilding and much more. Traditional team building methods isolate the playing teams throughout an activity to interact amongst themselves. Sure, it’s okay to put a team together of employees who don’t really know each other as it allows them to interact, but what if they were able to interact with every other team throughout the event? Technology empowers the interaction between all players within an event. The features in technological platforms to send messages between teams, send fun clips between teams and to engage with each other throughout an event makes it all the better. In a competitive environment amongst many players in an event who want to win, using technology adds more fuel to the competition through team interaction; and racing through the challenges really does break that ice which leads to a memorable event and new bridges formed between the players. The traditional approach: pen and paper in hand with some orienteering equipment. Find the clues and locate the point to complete a challenge. It sounds like a lot more fun with technology that’s for sure, after all, who doesn’t use technology these days! Teambuilding with technology is a development that was inevitably going to come about due to the growth and emergence of technology in just about anything in life these days. In all likelihood, every traditional teambuilding company will resort to using technology at some point, if they don’t already. Technological platforms allow the players to embrace the tasks they are set and the challenges which they come across like never before. Technology inspires creativity between playing teams in an event allowing everyone to get involved; whether it’s in a team selfie or a challenge where they have to search for a hidden object after having had to scan a QR code to activate it. The development of technology may appear overwhelming to non-techie companies and employees who may not be tech-whizzes. However, using technology can actually be much less time consuming and far more straight forward in creating an event than organising manual teambuilding events. 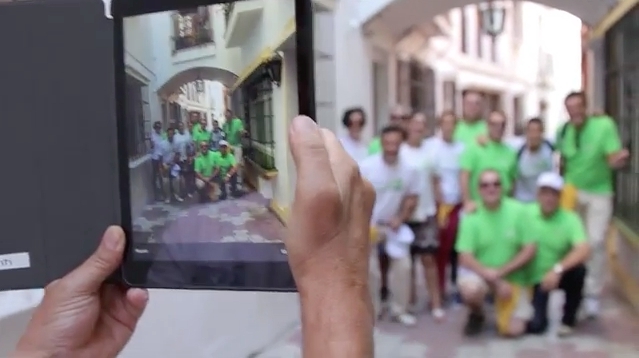 So, move with the times and add a new, innovative twist to your teambuilding event using technology! The beauty of using technology for teambuilding events is that every activity is completely unique. Each event is tailor-made to the type of challenges the client wants to include, the length of the event, the sequence in which the challenges must be completed and any other factor they may wish to customise. The technological aspect of it also gives an event much more flexibility than the original manual teambuilding methods. During gameplay teams receive feedback in real time where they can check how their scores compare with the other teams whilst distracting them through messages and sending fun clips to disable their screens. Whether we use technological platforms to transfer existing manual events onto a device or create an event from scratch gives it a much more logical structure especially for the event organiser. Initially, there may be more organisation that goes into creating an event using tablets or mobile devices, however it will be a much more impressive, interactive and dynamic experience for the participants involved. When creating an event using a technological platform it will be stored on the platform’s back office where they can be created and edited for future events. The organiser can use it again as a template for future events so in the longer term the initial time invested in creating an event can be a worthwhile investment. Using the different features of a device-based team building event results in plenty of data to extract from it whether it is the distanced covered by each team, the photos taken throughout the event or simply the number of points scored by each team. Being able to take this data from the event is great for different purposes. At the end of an event the organisers often put on a dinner for the participants with a big screen on display and a slideshow of all the pictures and videos from the day on repeat. It’s a personal and fun way to end an event which goes down well with everyone involved. Extracting other details from the event also gives the organisers an opportunity to end the day on a positive note handing out awards according to their statistics. For example: the team who have covered the most distance throughout the event may win a prize for being the most active. There are many ideas that can come from the events’ data, not least the ‘best picture’ and ‘most interesting’ picture of the day award! In comparison, using device-based methods to manual team building methods is much more sophisticated and organised in a way that is incredibly easy for the organisers. Including other activities and awards such as a dinner after the event is fine but using the data taken from the devices means that the entertainment is already organised ensuring all the participants can continue their enjoyment into the night! Using devices for team building events isn’t only about moving with the times or using the latest technology, it is also important to foster a healthy competitive nature amongst the participants involved. Ensuring the players have a good time is one thing but encouraging a competitive edge is healthy to the extent that motivates the participants to enjoy themselves whilst ensuring their efforts are focused on doing the best for the team. 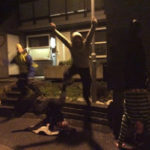 Many participants do not need an added motivation to be competitive but the dynamic events produced using devices ensures all players are involved and are equally having a great time. Whether the teams are completing challenges through a city centre or have to navigate themselves through a shopping centre, the events that can be created using technology adds another dimension to the event that manual teambuilding can simply not offer.